Arena Joondalup Physiotherapy are thrilled to have experienced Physiotherapist, Peta Grzelec join the Move Well team. 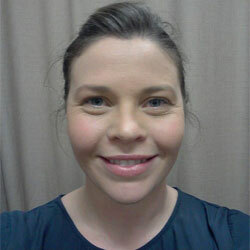 Peta previously worked at our Belridge Clinic before furthering her experience at various clinics in Perth. During that time she has built up a wealth of experience in all aspects of Musculoskeletal Physiotherapy, including diversifying in to Clinical Pilates and developing a specialised interest in Women’s Health. Peta is now completing post-graduate study in the area of Women’s Health, further enhancing her expertise for clients in this field. If that is not keeping Peta busy enough, she is also the proud mother of two beautiful daughters. The addition of Peta to our staff has allowed for greater flexibility with regards to our expanding Clinical Pilates sessions, which are proving very popular and effective for a great variety of clients and conditions.